The Forensic Magnifier is a simple to use, low cost and battery operated magnifer with up to 6 integrated light sources for rapid authenication of ID cards, passports, currency and for visualising fingerprints. The HS3B Forensic Magnifier with integrated CMOS camera and 3 inch TFT screen is a simple to use, low cost and battery operated magnifer with 7 integrated light sources for rapid authenication of ID cards, passports, currency and for visualising fingerprints. 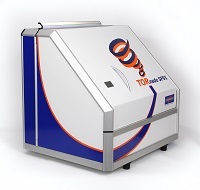 TORnado SF91 Toner and Ozone reduction system for ESDA workplaces.